Interested in utilizing eye tracking for your research or thesis? Gazepoint makes it possible to have a high-performance, research-grade system without a large financial burden. The Gazepoint GP3 HD 150Hz Eye Tracker is a great starting point. This complete eye-tracking hardware kit comes with a high-resolution, machine-vision camera, which offers an enlarged camera field of view and a 150-Hertz data sampling rate, making it both user friendly and very accurate. Each system is also shipped with a mini tripod stand, USB cables, and our API/SDK for easy development and interfacing. Data accuracy and affordability is why thousands of university researchers around the world have chosen Gazepoint for their eye tracking needs. Computer science, English, psychology, business, and marketing departments have all seen benefit from using eye tracking for research. To learn more, explore our collection of academic papers based on research done with Gazepoint eye trackers. Now with the ability to measure other physiological changes such as skin response, heart rate, and pupil diameter, Gazepoint is the most powerful all-in-one solution for your data collection needs. 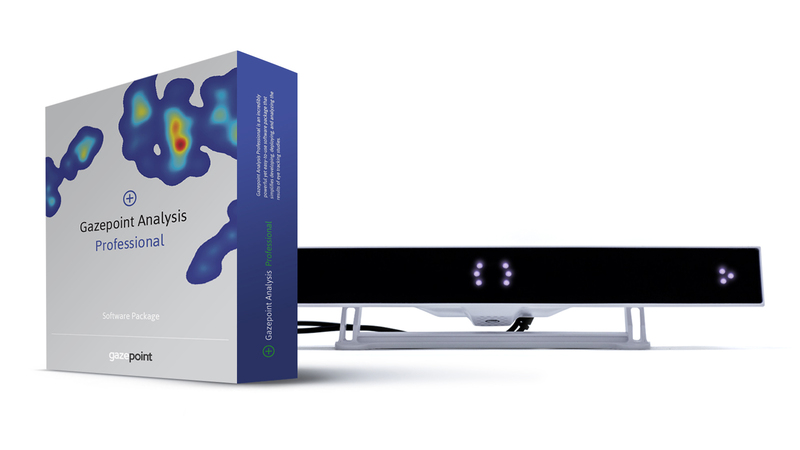 Order the Gazepoint GP3 HD Ultimate Bundle today to receive not only our research-grade, eye-tracking hardware, but also Gazepoint Analysis UX Edition software, a software package designed for academic and usability research. The package also includes mounting accessories, an extended warranty, ongoing support, and more. Each bundle includes an “Eye Tracking the User Experience” e-book, which many would consider essential reading for this field, as well as three years of software updates. Eye tracking is cutting-edge technology for the classroom. At our price point, it’s easier than ever to connect your students to the technology they need to learn this new technology, and offer them the opportunity to explore new ways of human-computer interaction. Who utilizes our advanced, affordable technology? Clemson University’s eye-tracking lab is one example, run by Dr. Andrew Duchowski, professor and world leader in the realm of eye-tracking research. Gazepoint GP3 eye trackers are used throughout their lab, mounted to desktop screens using our custom-designed VESA Mount accessory. With Gazepoint, you can make hands-on work easily accessible for every member of your classroom without sacrificing the quality of your equipment or data. Choosing to work with Gazepoint means that you and your students also have access to our resources and support materials, including tutorials on everything from setting up an experiment to defining moving areas of interest (AOIs). The GP3 HD Professional Bundle offers you the opportunity to buy the GP3 HD eye tracker, the Gazepoint Professional Edition software, and choose from a number of optional add-ons. Our custom-designed VESA Mount is designed to attach the eye tracker to a screen, reduce the need for recalibration, and prevent the eye tracker from being moved. Do you need a mobile setup to collect field data? Choose our Laptop Mount instead. Invest in the future of your research and your students, and contact Gazepoint today! Eliminate the guesswork from your marketing strategies and UX optimization, and create data-driven designs with help from Gazepoint. Eye tracking gives you the ability to visualize and quantify customer insights.